Edraw map software supports to draw world map with pointers, 2D and 3D directional map, subway map, location map, street map and geo maps. It lets you start with a straightforward drag-and-drop interface and a large collection of built-in vector map elements. It runs on Mac, Windows and Linux platforms, and supports cloud collaboration. 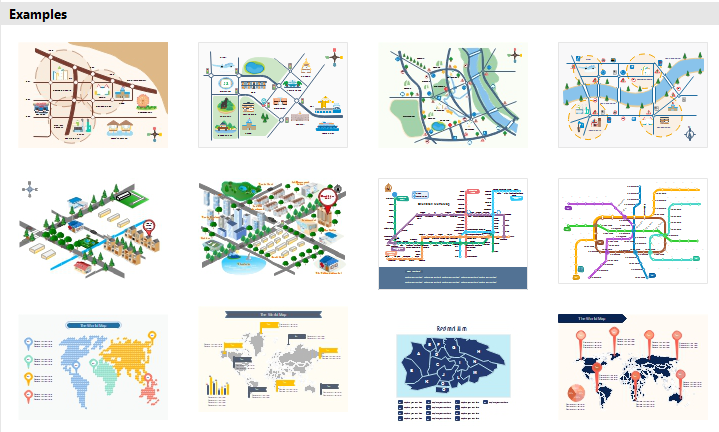 Draw different types of maps with the easy and versatile templates. 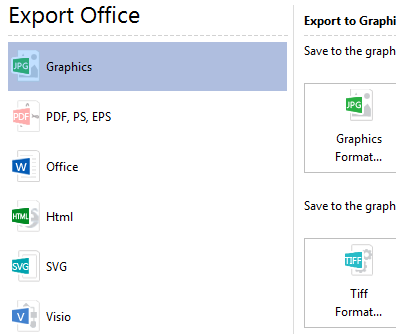 Even beginners can handle it effortlessly as the interface is similar with MS Word. Further more, it enables data storage in cloud, helping team members to share, review and co-edit documents. You may start from pre-made templates quickly and replace some colors, texts and shapes to meet your demand. 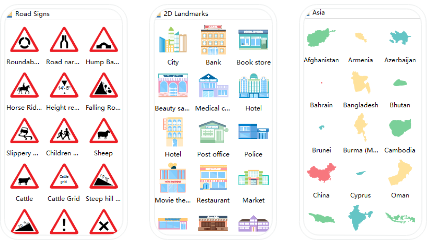 You can find a great number of built-in symbols for drawing directional map, 3D directional map, subway map, street map and geo maps from map libraries. With various symbols Edraw map software has prepared, drawing a fine and prefessional map is no longer painstaking. Libraries of symbols will not limit your inspirations as you can create a new library with customized symbols - either from the Internet ot local documents. Functional tools like pen tool give you a choice to draw whatever you want to put on your map independently. Create quick ideas in your mind freely without constraints to customize you own maps. 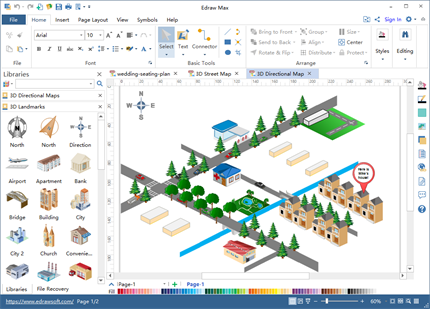 Export for printing and share the maps you create after finishing the drawing process. 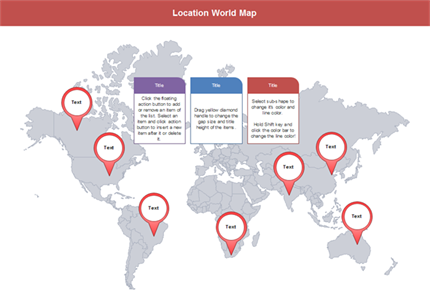 Edraw map spftware offers you many options for exporting and sharing. Click Save as or Export and Share to keep in formats as JPEG, SVG, PNG, BMP, PDF, HTML, PS, EPS, GIF, Word, etc. 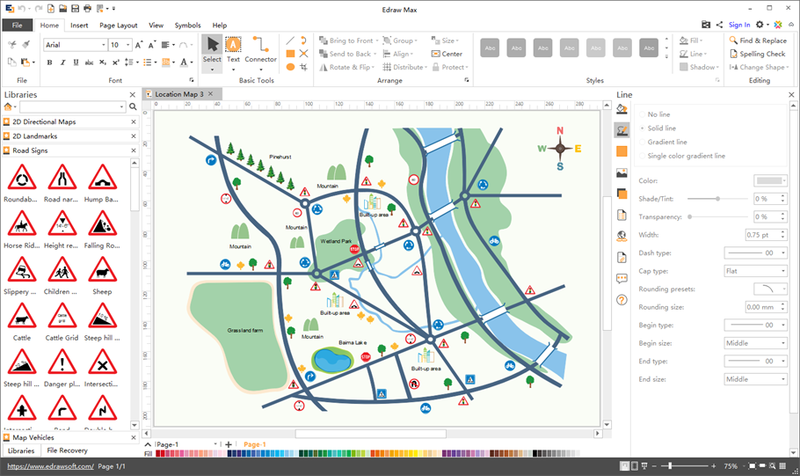 Edraw map software contains a variety of built-in map templates. Start quickly with a template to save your time. Easy and Versatile Map Software! Enjoy drawing maps on Mac and PC with this easy-to-use software. You'll be surprised at its abundant built-in symbols and templates, amazed by how easy it works, and satisfied with the nice service and price. Get a trail now!